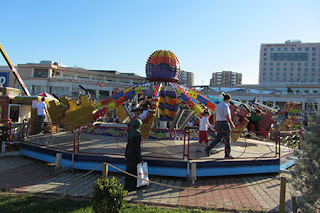 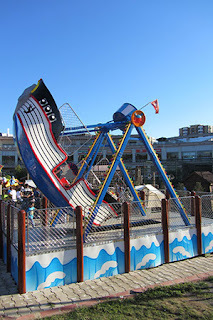 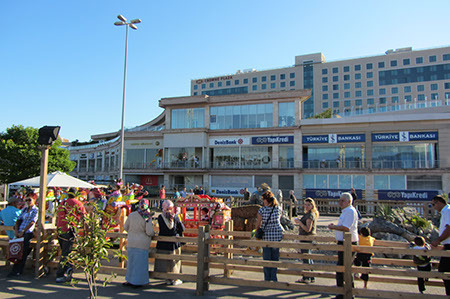 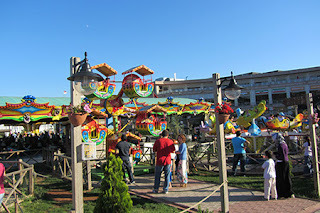 For those of you who land at Sabiha Gokchen airport on the Asian side and head into Istanbul, this is the park you'll see in front of the Via complex and Crowne Plaza Hotel. 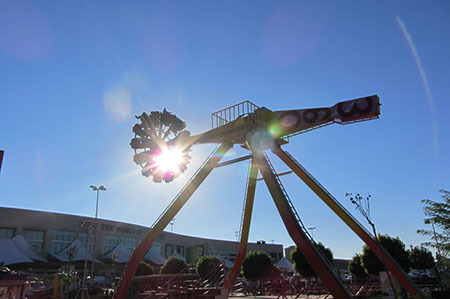 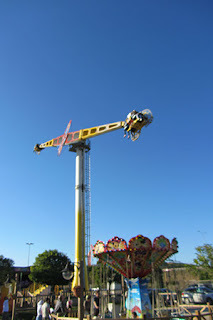 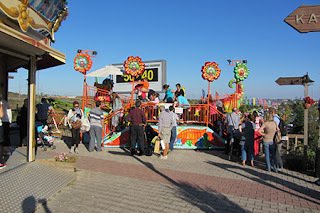 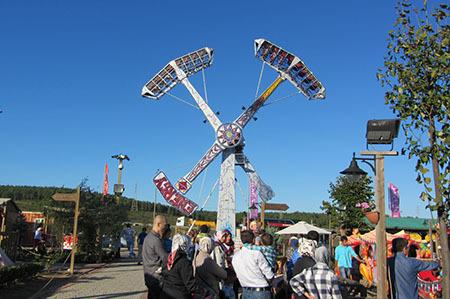 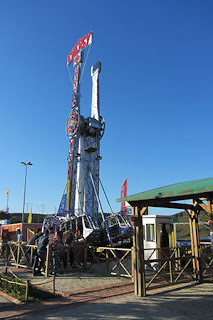 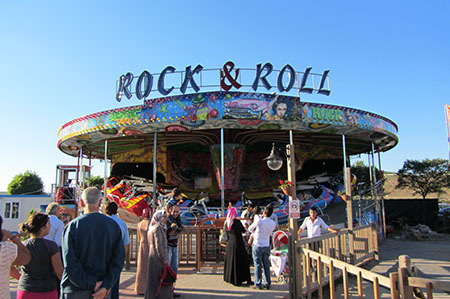 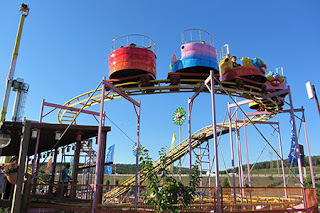 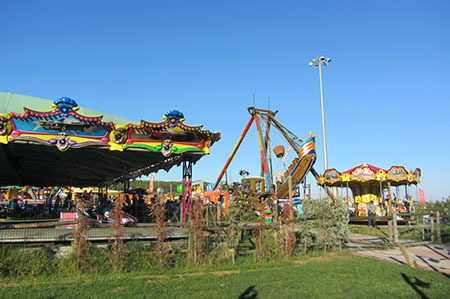 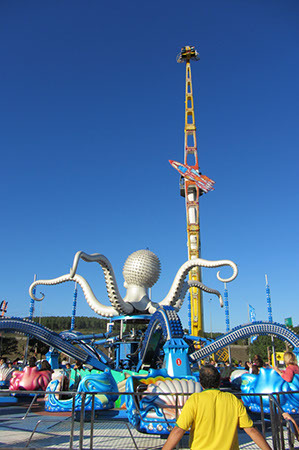 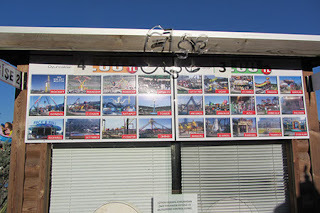 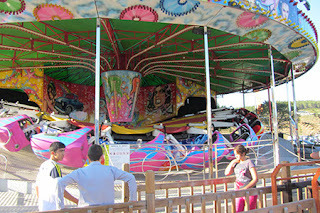 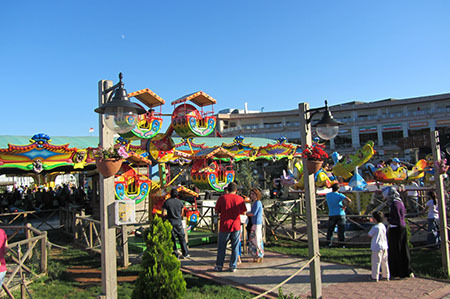 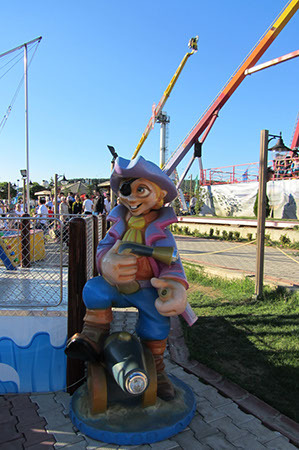 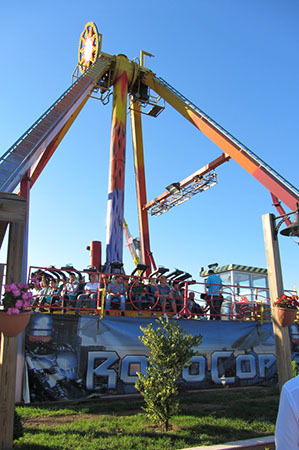 All of the rides here are made by DAL, a local Turkish ride making firm. So this is their Europa Park where they can show their rides off, and whilst not a world class park by any sense of the imagination it was certainly the most lively of all the parks that I went to with all the rides running for a sizeable crowd. 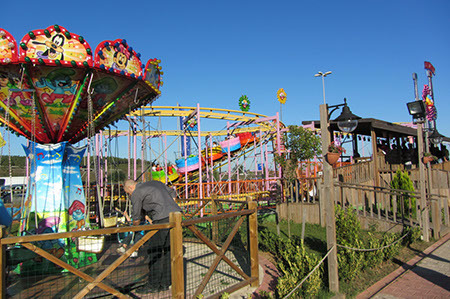 Rather strangely you have to buy tokens before entering the park, security guards check to see that you have tokens before entering. 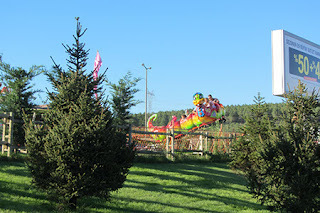 There are two coasters, another powered dragon in the back right corner and a rather strange spinning caterpillar ride which I hadn't come across. 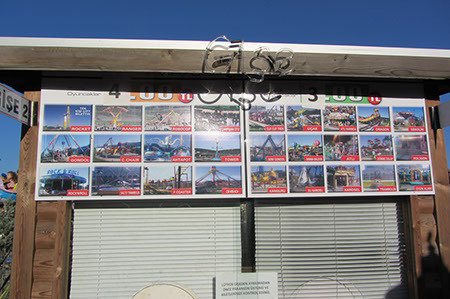 I do know that there is one at Tilburg but I've yet to ride that. 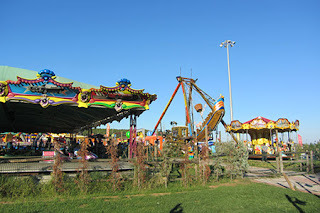 This park also benefited from having a pretty decent sound system and tune selection; you can't go wrong with some Major Laser turned up loud.